It’s Buffy the Vampire Slayer if the villains were big pharma. Scout Turner works as a cryptozoologist, examining and cataloguing supernatural creatures for scientific purposes. When she discovers the cure for asthma in the venom of a new breed of monster, she quickly finds herself on the run from Kenilworth Pharmaceuticals and the monsters that they’ve hired to kill her. With no one by her side but her clueless assistant, a morally ambiguous succubus, and her geriatric dog, Scout goes on the run… but in a world controlled by money and drugs, can she escape the reaching claws of a medical monopoly? 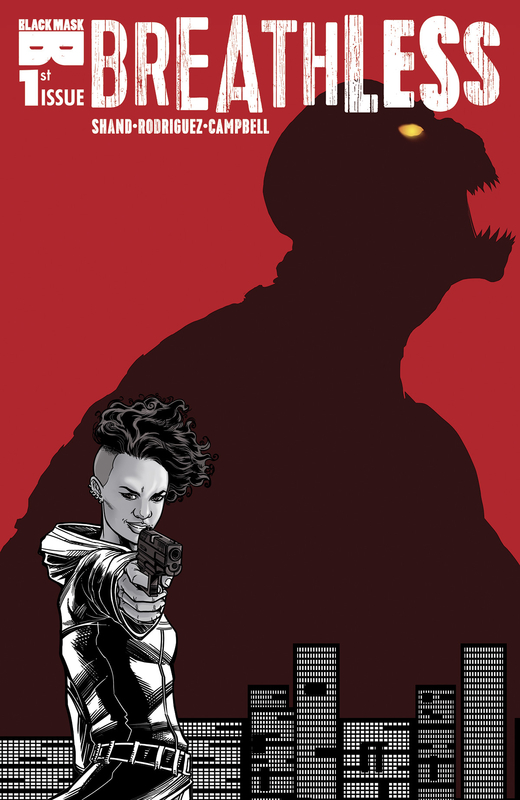 From Pat Shand (Destiny NY, Guardians of the Galaxy) and Renzo Rodriguez (Hellchild) comes this healthcare horror story about the monsters creeping in the dark… human or otherwise. Josh Simmons (Black River) returns with a harrowing and genre-bending collection of more than two dozen short stories. 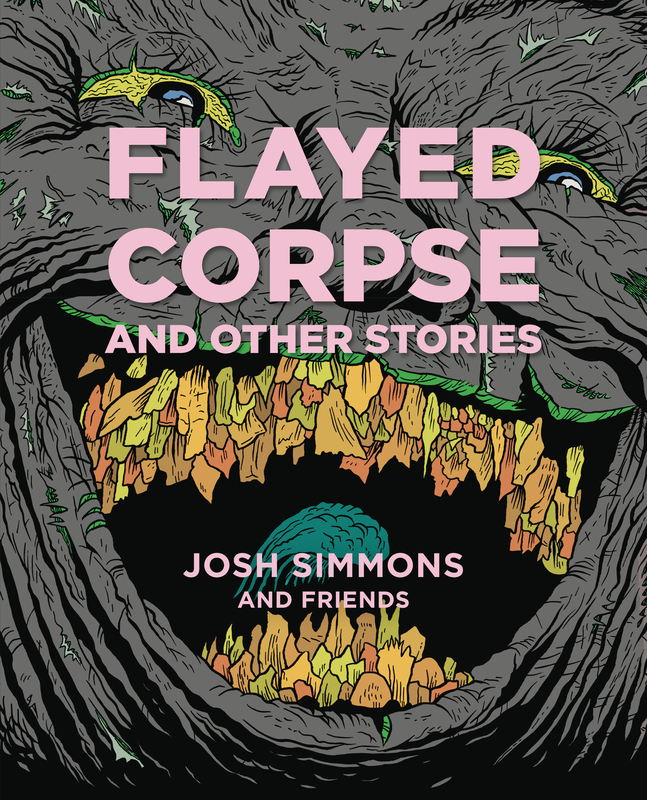 The individual stories in Flayed Corpse stand on their own and also complement each other in ways that only heighten the anxiety and dread pouring from the pages. 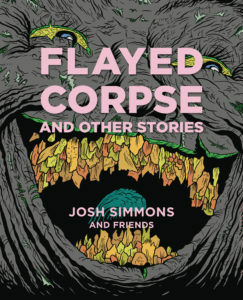 Flayed Corpse also collects several collaborations between Simmons and other cartoonists, including James Romberger, Anders Nilsen, Tara Booth, Eroyn Franklin, Tom Van Deusen, and Eric Reynolds, amongst others. 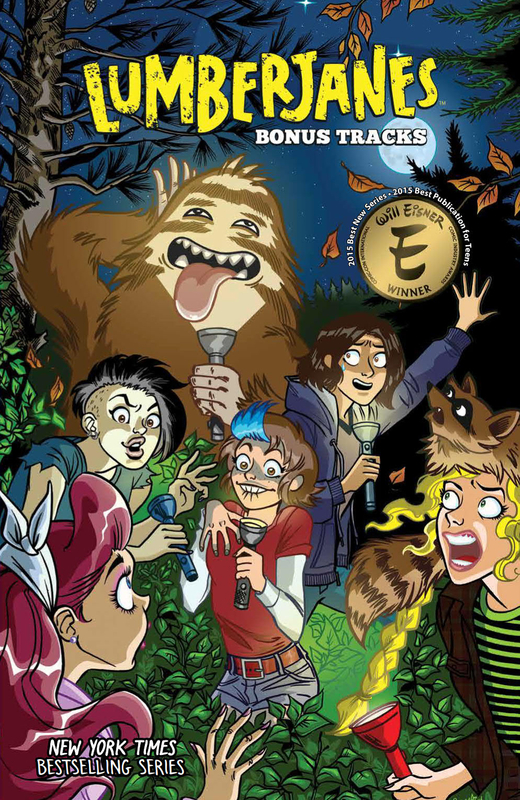 Presenting the Lumberjanes short wstories collected for the first time in a paperback. Join April, Jo, Mal, Molly, and Ripley as they explore their all-girls camp. From ghost ponies to strange plants, these Lumberjanes are ready to take on anything that comes their way as long as they have each other. Collects the Lumberjanes Specials, including Beyond Bay Leaf, Making the Ghost of It, and Faire and Square. Comics’ most genteel zombie returns with his signature blend of macabre humor, hilarious horror, gore, gags (the funny kind), and gags (the trying-not-to-vomit kind). 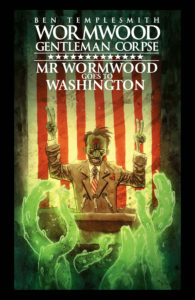 Wormwood has been gone for some time. Too long, if you were to ask his old friends. So, when a special agent from the U.S. government asked for Wormwood’s help, they were determined to track him down, no matter what dimension he’d buggered off to. Now that he’s back, things are about to get political. He and the gang are off to Washington, where, for once, his heart may be the warmest one around. One of the folk legends of the Wild West, William H. Bonney went from cowboy and gunslinger for a rancher to pure outlawry. On the one hand, he was charming, fun-loving (often at social events like dances), and quite appealing to the ladies. Also conversant in Spanish, “Billito” was popular with the Spanish speaking crowd. 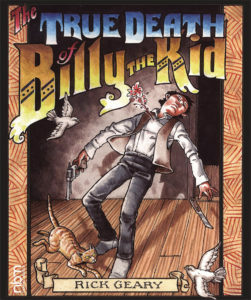 On the other hand, he had no compunction to coldly kill a man, a sheriff, a deputy – anyone who got in his way rustling cattle or horses for an illicit living. He also proved hard to keep in jail even when caught. It is probably his feats of derring-do escaping from jails that made him most famous and this is the main subject of this biography following him until he is shot in pitch darkness by lawmen obsessed with getting rid of him. 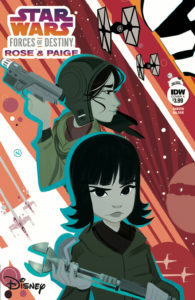 This entry was posted in 2018, March, shiplist, shortages, This Week's Comics, Weekly Shiplist by Kelly. Bookmark the permalink.